While racial minorities (Hispanics, blacks, Asians) make up only a quarter to a third of the US population, their babies accounted for 50.4% of US births in 2011 and 49.7% of all children under five. 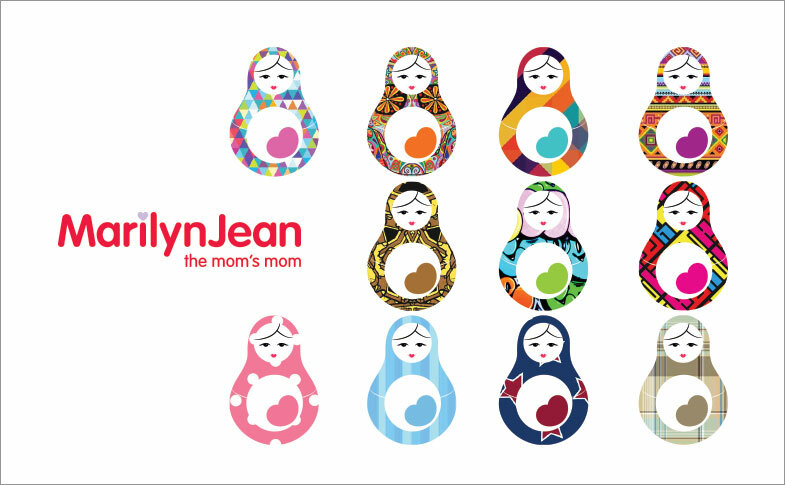 As Marilynjean.com, a trusted resource and online community for mothers, planned its move into the US, Frank Strategy conducted primary and secondary consumer research to uncover information that would help shape their brand for a US orientation. These were the key findings. See the Brand Model that resulted from this consumer research here. See the Creative Platform that resulted from this consumer research here. While more and more women are having babies later in life, the average mom in the US tends to be aged 20–34. She is most likely living in the western or southwestern US. She tends to be either working or a full-time homemaker, helping to support a large family. Her household has a lower net worth and income than the rest of the US population. While racial minorities (Hispanics, blacks, Asians) make up only a quarter to a third of the US population, their babies accounted for 50.4% of US births in 2011 and 49.7% of all children under five. This is a result of a greater share of the minority population being of childbearing age: the median age of a US Hispanic woman is 27.6 years, while the median age of a US Caucasian woman is 42 years. The mother (as opposed to both mothers and fathers) seems to be the most appropriate marketing target to capture, given the increasing proportion of mothers who are unmarried. In addition, the mother is generally the one who makes the decisions about what to buy with money given as gifts and/or what goes on the baby registry. Marilynjean.com tends to carry products that are purchased in the months prior to the baby’s arrival. Fewer companies market to mothers during pregnancy, before the baby is born and records of the newborn become public. The creation of a trial purchase during pregnancy will translate into repeat purchases during the second buying cycle. A lot of money is spent in a relatively short period to prepare for a new baby ($7K–$14K in the first year), particularly for first-time parents who are more likely to overspend. Spending variations seem to be driven not necessarily by the age of the child but by the status of the mother. First-time mothers tend to spend more on baby products because motherhood is a new and exciting experience, because she needs to prove to herself that she is looking after the child, and because she is unlikely to have access to as many hand-me-downs. A mother’s media consumption skews to magazines, out-of-home advertising, and slightly to the Internet. As a result, there may be a need to reach mothers both online and through other channels (i.e., multiple-touch points). However, mothers are bombarded with marketing materials, so creating communications that are appealing, relevant, and helpful are key to breaking through the communications clutter. Mothers are family-centric, with a strong emotional connection to their child, and seek to build lasting memories. They are looking forward to the rewards of being a parent and tend to appreciate the humour in many parenting situations. New mothers do not seem to feel that parenting is easy, and they are under stress. However, this does not seem to create a barrier to expressing feelings of love, openness, and concern for their children. Because these products will be used by their babies, mothers will take exceptional care to purchase the best, safest, and most cost-effective product. This makes the purchase process complex, with mothers consulting multiple sources of information and conducting a lot of research before buying. A site that is streamlined, facilitates the buying process, and provides access to information such as product reviews, peer discussions, and technical product information will be key. Taking into account the mother’s socioeconomic profile, the time pressures she is under, her attitude toward parenting, and the complexity of the purchase process, here are the key drivers to get Mom’s attention. In terms of products bought, the spending (in order of volume) goes to formula/foods, furnishings, clothes, diapers, strollers, toys, nursing and baby feeding products, and health and grooming. While the most popular items on registries include car seats, strollers, baby feeding products, diapers, and health and grooming products, we know that smaller items such as teething toys, sound toys, changing pads, and eating aids are also important. Brand choice is key. While it was difficult finding top-selling brands, given the fragmentation of the products bought for babies, parents are seeking brands that reflect quality, style, assurance of safety, and prestige. They look for brands they trust, connect with emotionally, and perceive to deliver on the key drivers of quality, style, and functionality. As such, a carefully curated selection of products will be important. While companies create references to “green” baby products, factors such as style, functionality, and brand trust may still trump “green” in this category. Online shopping is popular and most likely a preference, given its key advantages of tandem research and buying, access to customer reviews, and ease of shopping—the latter a critical driver for the busy parent. However, given the importance of time and ease of shopping, it is not surprising that brick-and-mortar retailers still offer relevant advantages, including service, ease of returns, instant gratification, and the ability to try before you buy. Enhancing the online shopping experience with reviews, articles, accurate sizing guidelines, how-to info, easy online returns, and quick and cheap shipping options become key pillars for online-only offerings. In line with the above, the top-rated online stores are Amazon, BabyAge, and Babies“R”Us. They all excel in price, website user-friendliness, free/cheap shipping options, speed of shipping, and product selection.